Photos taken 4th Sept 2015. 001. EDINBURGH WAVERLEY. 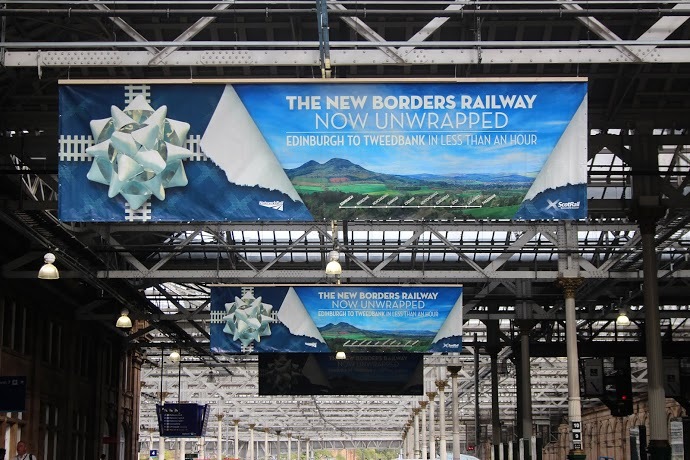 Large banners promoting the Borders Railway hung from the roof. 002. NEWTONGRANGE. 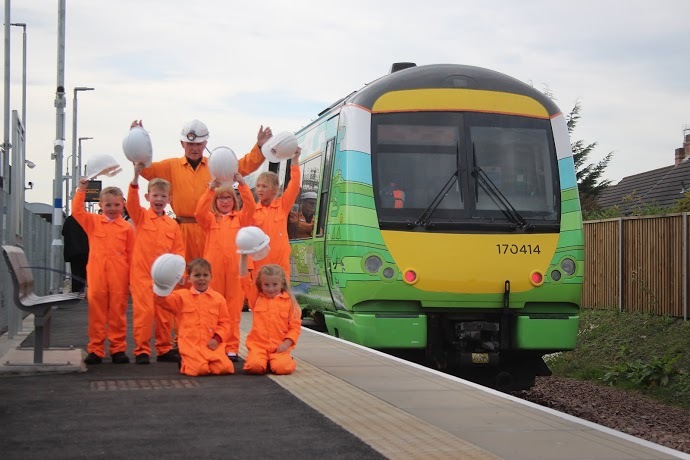 Schoolchildren on the platform celebrate the new service as test train waits beside them. 003. 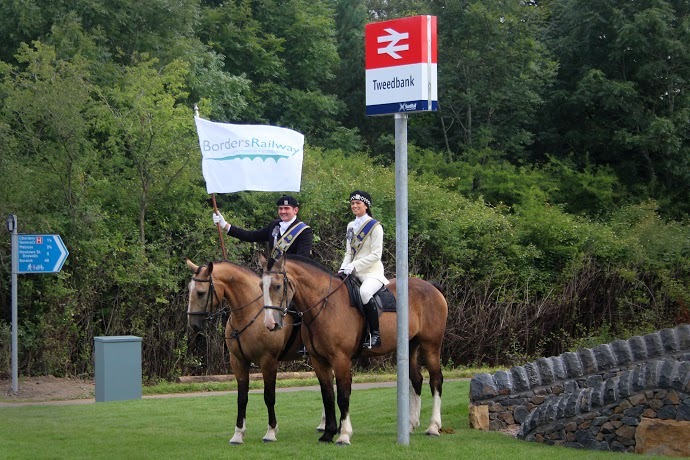 TWEEDBANK. Cameron Pate and Abbie Frankland, Braw Lad and Braw Lass respectively, of the Galashiels Common Ridings, pose for a photograph.